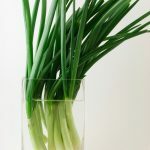 I saved the tops of the green onions, put them in water as directed, waited for them to start growing, then planted them in a pot. I have a nice little pot garden of green onions now, but the weather is turning and I don't know if they will survive the winter outside. What should I do? I am in zone 8, PNW where we get lots of rain, hardly any sun, temps down to about 20, but rarely any lower, and freezes are short. You might be surprised to learn that onions are, actually, hardy down to 20 degrees. You can plant them. If the weather takes a turn for the worse, and gets colder than that, then you will want to cover overnight with some hay or other mulch until the temperatures return to above 20.